In preparing to post the following article by The Mind Unleashed, I came upon an article by the popular rumor vetting site Snopes. To their credit, there have been logical and concise debunkings presented there, but when reviewing a recent attempt to refute Judge Anna's call, they utterly failed to disprove anything, and at best confirmed that they did not recognize the principles of law cited by Judge Anna. Anna Maria Riezinger, also known as Judge Anna, recently called for US Marshals and the FBI to arrest congress and the president. Under the oaths of office for these organizations, they are beholden to defend and protect the constitution and the people of the United States. Although these organizations were created under the influence of a foreign corporation, the individuals within them acting as agents government can still do the right thing and begin working for the people. In reality, if these agents were truly honorable, and adhered to the mandates provided within the founding documents of their incorporation, they would investigate Judge Anna's complaint and once material evidence is found to confirm it, a swift action to apprehend the perpetrators would be required. This is one of the premises on which Judge Anna calls for the arrests, but there is much more one needs to understand to fully comprehend the import of this action. Alas, there has been no arrest as of this writing, and some would claim this proves that the whole matter is nothing but sensationalism. However, there is a valid lawful basis for everything presented in Judge Anna's call. To dismiss what is offered, without performing due diligence would be an act of incompetence on the part of so-called law enforcing agencies. They have a duty to investigate all claims of wrongdoing, especially by concerned citizens of their government. But the average Joe is not beholden via an oath of office to investigate the veracity of Judge Anna's complaint. And sadly it is the average person that needs to be reeducated more than anyone else. The popular investigative website Snopes recently shared a 'debunking' of the below article by The Mind Unleashed. 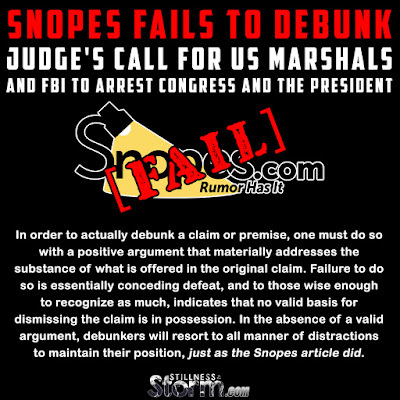 Snopes offered no rebuttal of any of the points presented, claiming that the call for arrest was baseless because the media wasn't reporting it. In addition, they claim that she is not a judge recognized by the legal system in any official registry. Click here to read the full article by Snopes. Here, the author of the Snopes article attempts to disprove Judge Anna's call by making an association to "Sovereign Citizens," which is a misnomer in that one cannot be sovereign and also a citizen. A Sovereign is one who is beholden to no-one, save through their knowing, willing and intentional consent, which is described in The Declaration of Independence as "all men created equal" with "certain inalienable rights, among which are life, liberty, and the pursuit of happiness." A citizen, is defined as: "a member of a free city or jural society, (civitas.) possessing all the rights and privileges which can be enjoyed by any person under its constitution and government, and subject to the corresponding duties." The bolded section describes how a citizen is subject to corresponding duties, in other words, that they are obligated to follow the codes of conduct of government without question. A subject is not capable of issuing consent because they are obligated under pain of punishment (duress), and therefore, a subject or citizen cannot be sovereign because a sovereign has the right to consent or not. These are well established principles of law, that if one were to perform due diligence to investigate, would easily come to understand. The Snopes article rests on the premise that the "ideology is largely a combination of wishful thinking and willful ignorance," but given the maxims described above, clearly this is a baseless statement. They then attempt to claim that because getting a drivers license and being subject to taxation are "ordinary legal conventions" it should be clear that everyone is subject to them. But just because everyone else does something doesn't make it right, and it certainly doesn't make it lawful. Nor does anything cited in this paragraph materially prove anything other than that the existing system is unlawful, which is the foundation of Judge Anna's call. To Snopes' discredit, they cite only a portion of her response on the American law of the land website. In the complete response provided by Judge Anna, she cites a basis to understand why she is acting as a Judge; and why there are no valid judges or courts operating within the United States. If one is aware of the lawful basis of the legal system, which is contractual in nature, then they can easily see that what she is saying is valid, but, of course, due diligence is required. In order for a court or judge to have valid standing, accommodation by all parties involved must be rendered. Accommodation is an explicit statement of agreement by all parties to have the court preside over a dispute, which establishes lawful jurisdiction. But since courts do not gain knowing, willing and intentional consent of their patrons, they are unlawful. Further, they deceive the people into accepting a presumption of the court's authority, which is a violation of trust that undeniably proves their lack of jurisdiction, competence and standing. In other words, there are no real courts in the United States, and in the absence of a legitimate judicial system, the people can and will create their own valid courts, so long as the maxims of law are upheld. This is effectively what Judge Anna has done. The final paragraph of the Snopes article clearly reveals that the writer must have had no understanding of what was just described by Judge Anna, or even worse, consciously promulgated a false argument to spread disinformation. In either case, this is a baseless and invalid position. Given what was outlined above, Judge Anna has the authority because she, first, has knowledge of the law, and second, recognizes her duty as sovereign to stop injustice when discovered. This is the right and duty of all free people everywhere. 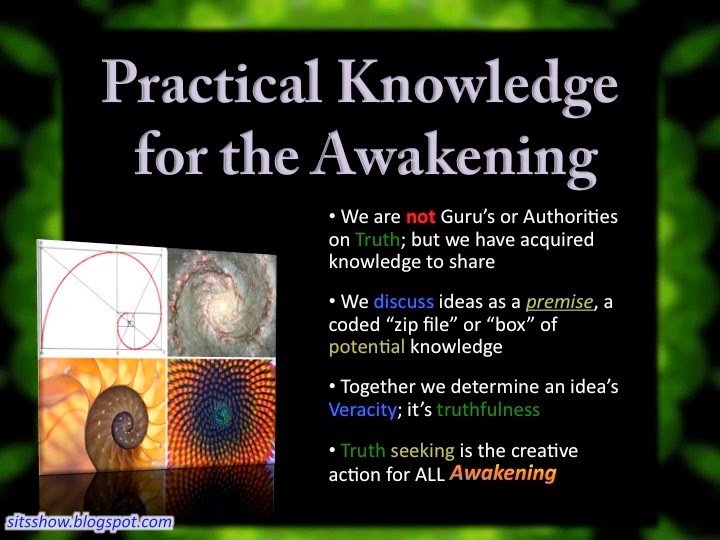 To be clear, in order to actually debunk a claim or premise, one must do so with a positive argument that materially addresses the substance of what is offered in the original claim. Failure to do so is essentially conceding defeat, and to those wise enough to recognize as much, indicates that no valid basis for dismissing the claim is in possession of the debunker. In the absence of a valid argument, debunkers will resort to all manner of distractions to maintain their position, just as the Snopes article did. 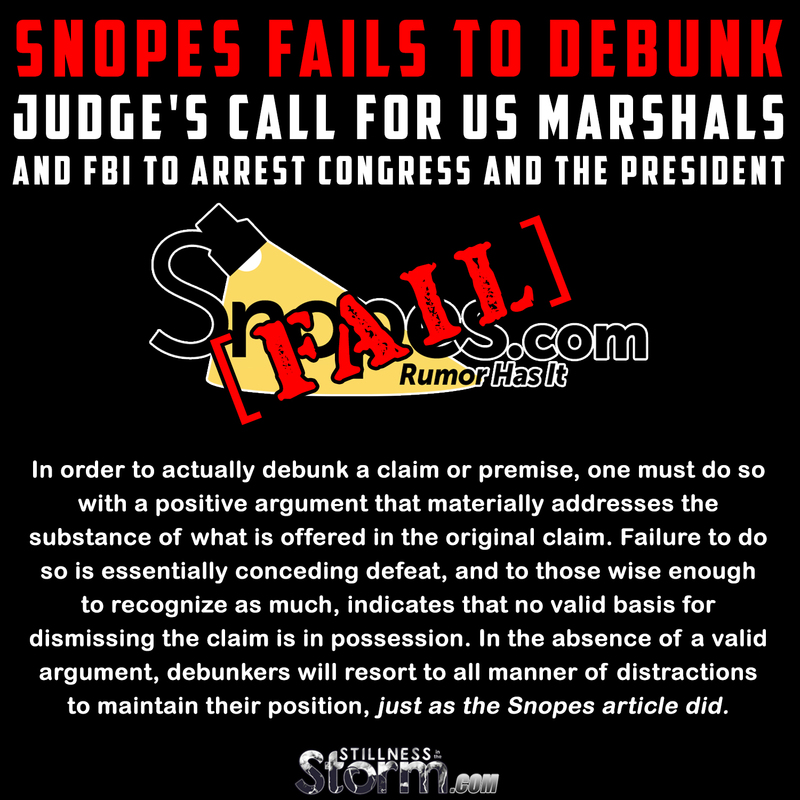 Snopes did not present any evidence or rebuttal to the principles of law cited by Judge Anna. Nor did they attempt to address the basis for her title as a Judge. Instead, they resort to an illogical and invalid method of trying to win a debate, which is to claim 'because everyone else isn't talking about it (i.e the media) so it can be true.' That response isn't a positive argument, it isn't logical and it reveals the total failure of Snopes to perform due diligence. In other words, Snopes just made a fool out of itself. 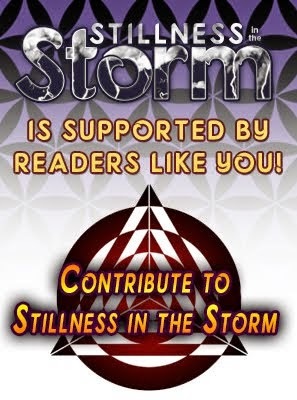 Although I do not like having to publicly rebuke anyone, this site receives a large amount of traffic on a daily basis and claims to investigate all manner of information with the stated purpose of vetting it for authenticity. But given the dubious nature of the above-referenced article, and the validity of Judge Anna's complaint, Snopes' esteem has been marred by this baseless and shameful effort. Given that we are united in the search for truth, I implore the team at Snopes to reconsider their position on this matter. The following related articles describe principles of law that support Judge Anna's call.